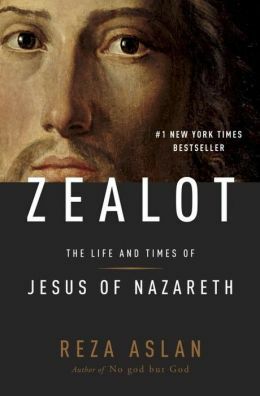 Zealot recently shot to the top of the best seller list due to a notorious interview on Fox News, where Lauren Green began by asking the author why a Muslim would write about Christianity’s founder. After that the discussion went downhill, recording the anchor’s ignorance (bias?) of Islam, and the author’s vigorous self-defense as scholar, who just happens to be a Muslim. Throughout the tense dialog, Aslan repeated his credentials three times: he has four degrees and is an “expert” in the history of religions. New Testament scholars would agree that he is a scholar on the history of religions, though not of early Christianity (his PhD is in sociology). But rather than question an author’s credentials, it is more helpful to discuss the contents of his work. Admittedly, Aslan has spent time reflecting on the life and times of Jesus, whom he obviously respects and admires. Many Christians, unfortunately, are unaware that Muslims think highly of Jesus, and for that matter so does the Qur’an. For me, it is particularly interesting that this Muslim author believes Christ’s death is the most provable point in the history of Jesus. That said, I have three major concerns with Zealot: First, Aslan’s portrait of Jesus is troubling. For example, the author thinks no one should believe a simple carpenter like Christ could read or write–in any language–because he assumes almost total illiteracy in Jesus’ society (35). This includes the apostles (171). Jesus is repeatedly called a magician (105-108, as well as an exorcist and a faith healer, who must have been married (37). The greatest surprise is that for Reza Aslan Jesus is a zealot who was crucified because he fomented sedition against Rome. As a revolutionary, Jesus handpicks an army of disciples to establish God’s physical kingdom on earth. His goal was to restore Israel and reign as a real king now118, 123, 214). Any thought of a peaceful Messiah loving enemies or turning the other cheek was fabricated by followers who distanced themselves from “revolutionary idealism” (69, 120). Storming the temple (49), overturning tables and casting out merchants depicts the “real Jesus.” This Jesus is smart enough to know “God’s sovereignty” can only be established by force (122). Like the Maccabees who sought to throw off the Seleucid yoke in B.C 164 (118), Jesus’ goal was to free Israel from the rule of Rome (144). Second, there is nothing new or fresh in how Aslan approaches the New Testament. He repeats well-worn arguments that “historical Jesus” experts and proponents of higher criticism previously relied on, but today have mostly fallen out of favor. For example, the author thinks nearly every book in the New Testament was written by someone other than the person after whom it was named (103-104). And he makes the astounding claim that there were “no eyewitness accounts of Jesus’ words and deeds recorded by people who knew him” (xxvii). Also, since many gospels existed (xxvii) in that era, Aslan asks how anyone can take Matthew, Mark, Luke and John at face value? Hence, Mark fabricates a story about Pontius Pilate (149) and Luke’s description of John the Baptist’s death is a “fanciful folktale” (82), as is Mark’s account of John’s background and birth (83). As for the remaining Gospel writers, Luke knew his description of Jesus’ birth was “technically false” (30) and John is “obviously exaggerating” when describing Jesus’ arrest in the garden (78). Third, Paul comes under harsh criticism in Zealot because it is said he has absolutely no interest in the historical Jesus (xxvi). Since his focus was exclusively Christological Aslan charges the apostle with inventing Christianity as it is known today (187). “Two thousand years later, the Christ of Paul’s creation has utterly subsumed the Jesus of history” (215). Aslan would have us believe Paul’s views of Jesus were so extreme he could only preach them by claiming they had come directly from Christ himself (188). The apostle’s conversion on the road to Damascus is rejected out of hand as “propagandistic legend created by the evangelist Luke” (184). Why? Because Luke “attempts to elevate his mentor’s [Paul] status in the founding of the church (185). Aslan also claims Paul never reconciled with the Jerusalem church over circumcision (192), neither was his “fateful dispute” with James ever settled. He argues that this breach is proven by the fact that James forced Paul to take a Nazarite vow and participate in a controversial Temple rite (201). Angry and bitter with other apostles, Paul is ultimately arrested and extradited to Rome (207). Most Muslims reject the cross and essentially say: “Theologically it need not happen, morally it should not happen and historically it did not happen.” Yet, in all fairness, some do think he suffered and died. In City of Wrong; A Friday in Jerusalem, Muslim writer Kamel M. Hussein believes Christ was crucified. The Qur’an also seems to say he died (Surahs 3:55; 5:117; 19:33; 4:157-158) and early commentaries (Tabari, d.923; Ibn Khatir, d. 1373; Fakhr al-Din at Razi, d. 1209; and Zamashkari, d. 1143) were more open to the idea than modern Islamic scholars. Scripture says Jesus went to his death “as it has been decreed” (Luke 22:22) but Aslan cherry picks passages to prove the mission was militant. One verse is printed out at the beginning of his book: “Do not think I have come to bring peace on earth. I have not come to bring peace, but the sword” (Matthew 10:34). Another is taken out of context without consideration of all Jesus said about the topic: “Sell your cloak and buy a sword” (Luke 22:36). This is true of Paul’s letters but not of all New Testament books. Without grappling with conservative scholars, Aslan assumes the latest possible dates for the Gospels and Acts. Would that Alan had interacted with Wm. M. Ramsay’s, St. Paul the traveller and the Roman Citizen, or with F. F. Bruce, Paul: Apostle of the Heart Set Free. Both writers describe Luke as a careful chronicler in the book of Acts.